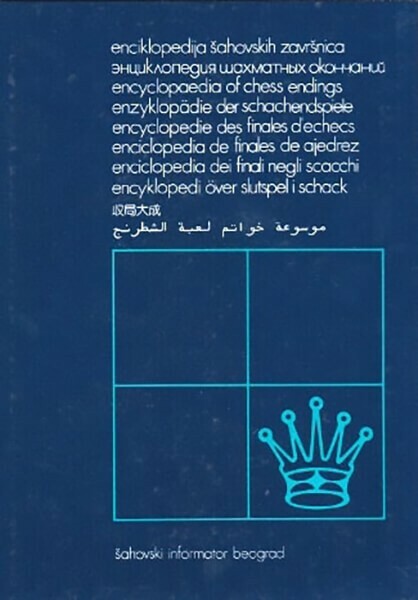 The Encyclopedia of Chess Endings (ECE), published by Chess Informant, is a five-volume comprehensive reference work on endings. Contributors to the series include experts such as Adorjan, Averbakh, Beliavsky, Botvinnik, Browne, Ftacnik, Gelfand, Gligoric, Hort, Huebner, Karpov, Kasparov, Kavalek, Korchnoi, Kovacevic, Mikhalchishin, Miles, Minev, Nunn, Parma, Speelman, Sveshnikov, Thompson (BELLE), Timman, Uhlmann, and Unzicker. The first volume on pawn endings was published in 1982 and is now out-of-print, as is volume two, part one on rook endings. We are pleased to make volumes three to five available once again. Quantities are limited, so grab these classics of chess literature while supply last.